It’s not only an oversized Rubik’s cube, but also an LED light to illuminate the way to solve the puzzle. How about the idea? Let’s go on checking the playable Rubik’s cube light. This is a unique and interesting LED light inspired by Rubik’s Cube. The large sized Rubik’s cube measures 12 x 12 x 12cm. Of course, you still can hold it in your hands for practicing your puzzle-solving skills. 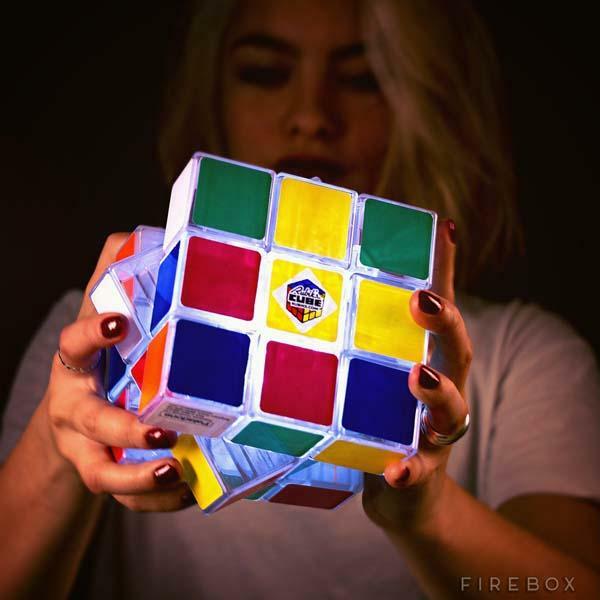 Most importantly, the Rubik’s cube also sports a built-in LED light system in order to light up your bedroom or show of your puzzle-solving skills in a pretty cool way. Moreover, its rechargeable battery makes the Rubik’s cube light stay super-bright for two hours on a single charge, and an included triangle display stand keeps it on your desk for secure illumination. 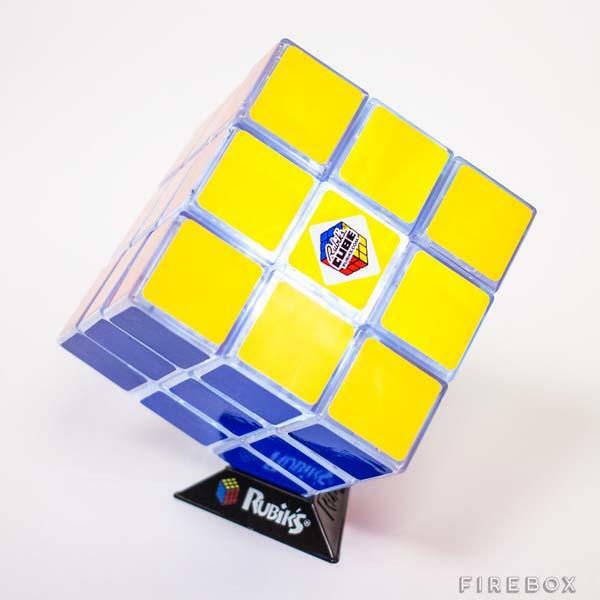 The playable Rubik’s cube light is priced at $50.19 USD. If you like it, jump to Firebox online store for more details.